Hung parliament predicted. Theresa May takes Tories back to their 2010 win, which ended with a coalition Jeremy Corbyn takes more seats than Ed Miliband and Gordon Brown. Theresa May’s hard Brexit campaign is rejected. Her personal request for a mandate is also roundly rejected. The Conservative party manifesto has been largely rejected as the expected huge predicted majority has simply not materialised. If this was an election of personality and charisma Theresa May has been emphatically defeated. Theresa May’s decision was a catastrophic decision, just as David Cameron’s was to call the referendum. The Tory party have massively miscalculated the mood of the nation and created instability and chaos both domestically and internationally by playing tactical politics. Ben Gummer, the up and coming rising star of the Tory party, the writer of the Tory Brexit strategy – lost his seat. Ended as fully divided and polarised nation with this fundamentally young against old, left and right, Brexit or not. Electors rejected austerity politics – with soft Brexit required. If Theresa May resigns or is ousted, Britain could end up with Boris Johnson, David Davis or even Michael Fallon – both would be an even bigger disaster. There could be weeks of internal elections within the Tory party. Would it be a caretaker government. Theresa May’s constituency speech: Entered the room refusing to speak to journalists and left out the back door still refusing to speak to anyone. By contrast – Jeremy Corbyn’s speech was very confident and went straight into a crowd full of admirers and journalists. Pollsters emphatically wrong yet again. Both Tory and Labour picked up biggest vote of share since the 1980’s. Brexit negotiations start in 11 days with no clear mandate. Home secretary Amber Rudd constituency requires two recounts – playing down to just 300 votes and just gets over the line at 04.55 hours. Canterbury has been a Tory seat since 1841 underwent a recount. Labour on course for best vote share in Wales since 1995. Conservative gains in Scotland is confirmation that a second referendum is highly questionable. Fourth most searched Google result – “who is Prime Minister”. 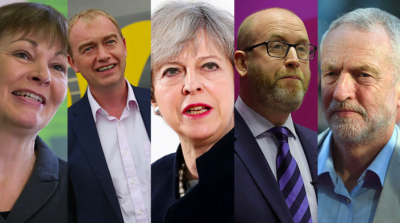 Everyone has lost – the Tories, Lib-Dems, UKIP, SNP and Labour not in power. Nick Clegg loses seat to Labour. UKIP share of vote collapses. Boris Johnson won conformably but interestingly said nothing at all about Theresa May. Terrorism did not succeed – voter turnout increased on the 2015 election turnout. Voter turnout on local elections was only 30% which proves that high voter turnout is crucial. Katie Hopkins promised to leave the UK if Labour win – fingers crossed then! Most Conservative MP’s have given what can only be describes as ‘holding statements’ when it comes to Theresa May’s future. Latest projection, still hung parliament – Conservatives 318 seats and require DUP’s 10 seats. Rumours of uncertainty inside Tory party as to Theresa May’s future. More rumours that government already considering delaying Brexit negotiations. Conservatives get the biggest proportion of votes across the country for a Tory leader since 1983 and yet has no majority. Conservatives have more seats in Scotland than since 1983 and it appears that Scotland have saved the Conservatives. More rumours that Theresa May may have to quit are swirling around political circles. Jeremy Corbyn has now got more actual votes than Tony Blair did when he won in 2001 and 2005 by increasing the share of vote across the country. UKIP lose 80% of the votes they had. Signing off now as the result is now known. Read the rest of the article as we backed the new model being used by YouGov that predicted a shock result. We also predicted that tactical voting was going to be key in this election and that the predicted overall majority was going to be nowhere near what the mainstream press have had everyone believe. Indeed, if anything, this disgraceful campaign of negativeness by the right-wing press has galvanised an electorate – and here we are.